Using ArcGIS for Server, the Corporate GIS unit has made its data available to all local municipalities through a web portal. The Frances Baard Municipality District fixed spatial errors by re-creating the parcels in ArcGIS based on the coordinates provided in source documents. GIS has facilitated more accurate utility billing, which in turn has created a better revenue stream for the district. The rural setting where staff and selected students were trained to use Trimble GPS units. Named for one of South Africa’s 20th-century democracy advocates, the Frances Baard Municipality District is situated in a mostly rural area of the country’s northern central region. A sunny and semiarid climate and natural rivers make it a popular tourist destination for bird-watchers, hunters, and photographers. The region is well known for its agriculture, with exports of fruit and vegetables, as well as mining activities. 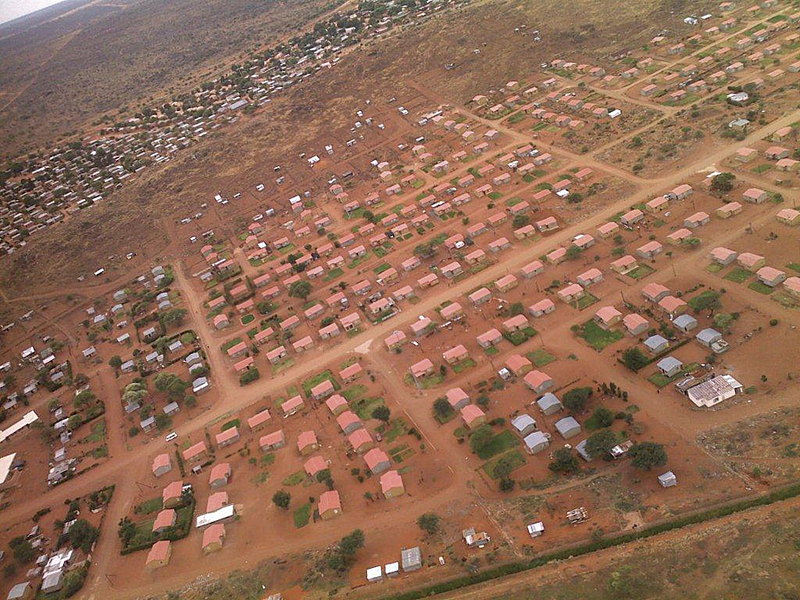 While Frances Baard is the smallest district in the Northern Cape province, it’s actually the most populous of the Northern Cape districts, with nearly 325,000 citizens spread through the local municipalities of Sol Plaatje, Phokwane, Dikgatlong, and Magareng. Like all municipal districts in South Africa, officials for Frances Baard are charged with assisting local municipalities in carrying out the basic functions of local government. Responsibilities include promoting social and economic development while delivering basic services, such as water, electricity, waste removal, and health care. Frances Baard must also carry out integrated development planning for the district, which serves as an overall framework for future development that coordinates with both the municipal and provincial governments. Frances Baard created a formal GIS organization in 2009 (called the Corporate GIS unit) to facilitate water and electricity service delivery and assist with rezoning, infrastructure development, and maintenance. While the district already had a legacy system in place, it determined that an enterprise solution was the only practical way to connect and collaborate directly with the local municipalities it must support. After a thorough internal review with stakeholders from the Corporate GIS unit and district leadership, Frances Baard contacted Esri South Africa (Pty) Ltd. to implement an enterprise solution based on ArcGIS. 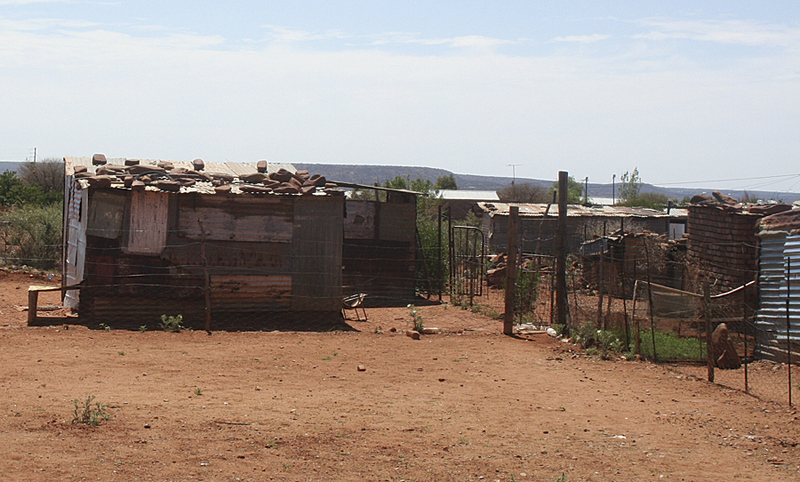 The Frances Baard Municipality District includes mostly rural areas of South Africa's Northern Cape province. The Corporate GIS unit’s first major task was to perform a comprehensive audit of existing land records for all the local municipalities it supports. Using data, such as cadastral and lease data provided by the surveyor general, the Corporate GIS unit created a new cadastral dataset that served as a starting point in the audit process. The unit also obtained land records information from the Deeds Office that could then be used to verify and update ownership information and property boundaries. After converting all the data to a common coordinate system and projection, staff began auditing the data by selecting five random parcels from each General Plan (an area of establishment that can number more than 200 individual parcels). Technicians compared the selected parcels to the diagrams and boundary documents from the surveyor general. They fixed any spatial errors by re-creating the parcels in ArcGIS based on the coordinates provided in source documents from the surveyor general. When coordinate information was insufficient due to age or imprecision, the technicians used aerial photography to create boundaries that reflected information in the diagrams. Once the spatial audit was completed, the cadastral dataset was then linked to the Deeds Office database to compare and update ownership information. Any properties that matched between the new cadastral dataset and the Deeds Office records were moved to a registered cadastral layer. When properties did not match, staff researched deed information from the surveyor general and linked the property to the last known owner before adding it to the registered cadastral layer. Any properties that did not match and could not be resolved were registered back to their parent properties and moved into the registered cadastral layer. Equipped with the approved cadastral layer, the Corporate GIS unit needed to survey and record information related to community facilities and water infrastructure to create a complete GIS database for the district. To obtain the most accurate and current information possible, the district purchased Trimble Juno GPS units for field data collection. Staff from the local municipalities and selected students were then trained on the units and directed to capture data about key facilities, such as schools and clinics throughout the district. This project had the joint effect of developing more accurate data for the district and promoting technical education for both the students and local staff. Implementing ArcGIS has allowed the Corporate GIS unit to produce detailed landownership maps for the various municipalities it supports. Similar to the community facilities effort, the district once again employed field data collection to confirm and, in many cases, update existing water utility information in ArcGIS. Data from the field was compared to existing GIS data to confirm as-built drawings and determine the actual location of various infrastructure. To date, the district has only completed verification of bulk water infrastructure but plans to address reticulation infrastructure in the future. The creation and verification of Frances Baard’s GIS database have improved service delivery for the district, as it now has a better understanding of where customers are located and how many are being served in each area. This has led to more accurate utility billing, which in turn has created a better revenue stream for the district. The updated infrastructure data has also helped the district better maintain its facilities and plan for the future. Using ArcGIS, the Corporate GIS unit has made its data available to all municipalities through a web portal. Local authorities at the municipalities can use this information for decision making, planning, and asset verification. As a result of the shared data and field data collection projects, the local municipalities have also begun identifying staff that can serve as local GIS coordinators to maintain data and support future projects. For more information, contact Mashudu Mudau, GIS manager, Frances Baard District Municipality Corporate GIS (tel. 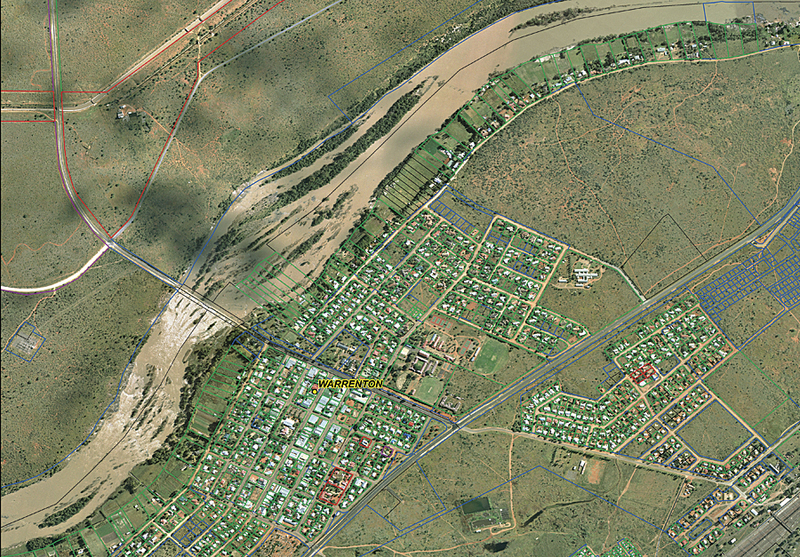 : 27-53-838-0991), or Lauren Sweidan, Esri South Africa.